June is National Healthy Homes Month, the perfect time to make your home smokefree. Let visitors know that, for your family’s health, smoking is not allowed in your home. It’s not enough to open a window or turn on a fan to try to blow the smoke away. Even moving to a different room away from a smoker does not prevent you from being exposed to secondhand smoke. Keeping your home free from tobacco smoke helps keep you and your family healthy. Exposure to secondhand smoke is harmful. In adult nonsmokers, it causes heart disease, lung cancer, and other diseases. It can also result in premature death. In fact, about 41,000 nonsmoking adults die from heart disease and lung cancer every year because of secondhand smoke. Children who breathe in secondhand smoke are more likely to get sick, including respiratory and ear infections. In babies, secondhand smoke can cause sudden infant death syndrome (SIDS). Secondhand smoke kills more than 400 infants from SIDS each year. About 58 million nonsmokers in the U.S. are still exposed to secondhand smoke, many of whom are exposed in their homes. Completely eliminating tobacco smoke indoors is the only way to fully protect those in your household from this preventable health risk. In buildings that have multiple housing units, secondhand smoke can move from unit to unit through hallways, stairwells, heating and air conditioning systems, and other ways. More than one in three nonsmokers who live in rental housing are exposed to secondhand smoke. And many who live in public housing are especially vulnerable to the effects of secondhand smoke, including children, the elderly, and people with disabilities. The U.S. Department of Housing and Urban Development (HUD) finalized a rule for each Public Housing Agency (PHA), which oversees public housing, to adopt a smokefree policy by July 31, 2018. The rule prohibits lit tobacco products—e.g., cigarettes, cigars, pipes, and hookahs—in all living units, indoor common areas, administrative offices and all outdoor areas within 25 feet of housing and administrative office buildings. Once fully implemented, the HUD smokefree rule will affect more than 940,000 public housing units, including more than 500,000 units lived in by elderly residents. The rule will also protect the 760,000 children living in public housing. Smokefree housing policies benefit everyone. These policies, including the HUD rule, can improve indoor air quality in housing units; benefit the health of residents, visitors, and PHA staff; reduce the risk of catastrophic fires; and lower maintenance costs. In addition to public housing, owners and operators of other types of multi-unit housing can also consider smokefree policies to ensure that even more people will enjoy the benefits of smokefree air in the places they live, gather, and play. Most adults already favor prohibiting smoking in public housing, including two out of five cigarette smokers. Smokefree policies in multiunit housing improve the health of people like Aiden, whose severe asthma is triggered by exposure to secondhand smoke. 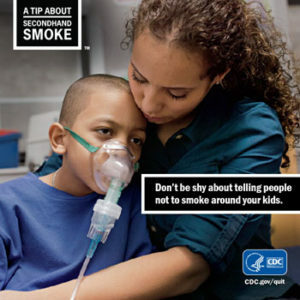 Aiden’s mother, Jessica, encourages others to keep their children away from secondhand smoke in the video, Jessica’s Asthma Ad, from CDC’s Tips From Former Smokers® campaign. 1-800-QUIT-NOW (1-800-784-8669) or 1-855-DÉJELO-YA (1-855-335-3569) (for Spanish speakers) -This free service offers many resources, including coaching, help with making a quit plan, educational materials, referrals to other resources where you live, information on FDA-approved cessation medications, and, in some cases, free or discounted cessation medications. Smokefree TXT—This free 24/7 texting program sends encouragement, advice, and tips to help smokers quit smoking for good. To get started, just text QUIT to 47848, answer a few questions, and you’ll start receiving messages. Online help—This Tips From Former Smokers web page provides helpful online quit resources. Smokefree App—The QuitGuide is a free app that tracks cravings, moods, slips, and smokefree progress to help you understand your smoking patterns and build the skills needed to become and stay smokefree. Smokefree.gov—This site has information and professional assistance to help you or someone you care about quit smoking. Choose the resource that best fits your needs. 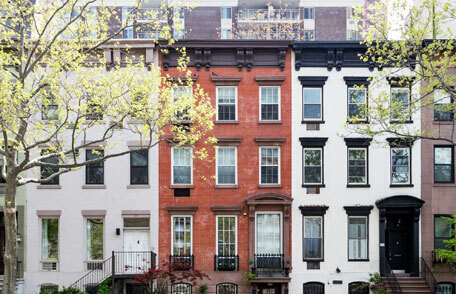 The American Lung Association’s website includes an online curriculum, Smokefree Policies in Multi-Unit Housing: Steps for Success, which describes how to implement a smokefree policy in multiunit housing properties. Their site also features an initiative, Expanding Smokefree Communities, which includes case studies, videos, and other information on smokefree housing, including public housing. HUD’s Healthy Homes webpage includes information and free resources on enjoying a safer, healthier home, including the National Healthy Homes Month Planning Guide and the Smoke-Free Multi-Family Housing Resource Bank. CDC’s Vital Signs publication[2.93 MB] highlights the harms of secondhand smoke exposure. The CDC infographic Going Smokefree Matters – Multiunit Housing provides more information about secondhand smoke within multiunit housing. CDC’s Smokefree Quit flyer[2.94 MB] is available for anyone to post in common areas of their property. CDC’s booklets, Secondhand Smoke: What It Means to You[11MB] and How We Can Protect Our Children from Secondhand Smoke are available to further educate consumers on the effects of secondhand smoke.